Following the train tracks as they cut through Durham, trees gradually condense, veiling the destination. A platform, connected to the adjacent red, brick building, parallels the tracks, framed by rusting metal pillars. Leaning back against the supports, Tristan Bouan, a senior at Duke, fiddles with his camera as he talks about his project, the movie Trainhopper. Bouan’s cinematic journey began by making home videos with friends and family, and progressed into working for The Standard at Duke , until finally, he began his independent projects. But it was through a formative experience at the Duke in LA program that he conceived the story behind his own movie. Since then, Trainhopper has been his goal as he hopes to share his vision with the world. Trainhopper is about a young man who, after train-hopping aimlessly around the country for four years, is forced back into society after stopping in Durham, North Carolina. A son of a diplomat, Tristan was always moving around the world--living on a boat to residing in Southeast Asia.. This upbringing resulted not only in Bouan’s nontraditional schooling, but also in his diverse sources of inspiration. In contrast to the typical representation of the American Dream, Trainhopper reflects Bouan’s own story of making and breaking attachments. Trains have played a crucial role in American history, and Bouan immediately realized the photogenic, and historical nature of Durham--catalyzing his inspiration for the setting of his story. The main character oscillates between the pain and happiness of making attachments in life, and for Bouan, the role of a train-hopper fits perfectly. The duality between attachment and detachment is a theme rooted in Buddhist thought. Given the time Bouan spent in Southeast Asia, he has come quite familiar with Buddhist ideology. While many American and European films have influenced Bouan’s work, it is this Buddhist influence that distinguishes Trainhopper from other films touching on themes of solitude, nostalgia, and interpersonal connections. While preparing for the film, Bouan traveled all around the area, observing train patterns and the logistics behind train-hopping. Train-hopping in and of itself is a complex act; not all compartments and sections are equal, and one misplaced step could result in an injury. Through this character research, Bouan attempted to truly understand the solitude that comes with a life of detachment. While location scouting and writing, Bouan was talking to investors and collaborating with local artists to put together a team for Trainhopper. 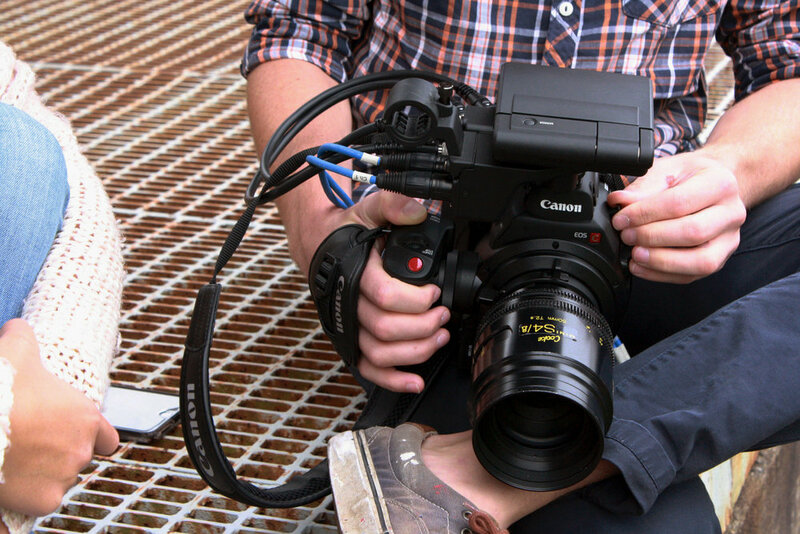 A feature film is an ambitious endeavor for a university student strapped for cash-- purchasing a camera, procuring a team, budgeting, post-production editing, and funding have proved serious challenges. Luckily, Bouan had no problem finding motivated, talented individuals in the Duke and Durham communities, as many were just as passionate about their work as he was. Bouan, a self proclaimed micro-manager, fills his days by working on Trainhopper. For him, this movie is not just his work, but his craze. Even as he balances school and filming, his motivation never ceases. You can catch him working all day, every day, sometimes staying up until 7 in the morning; but the journey is not over. Filming is not complete. 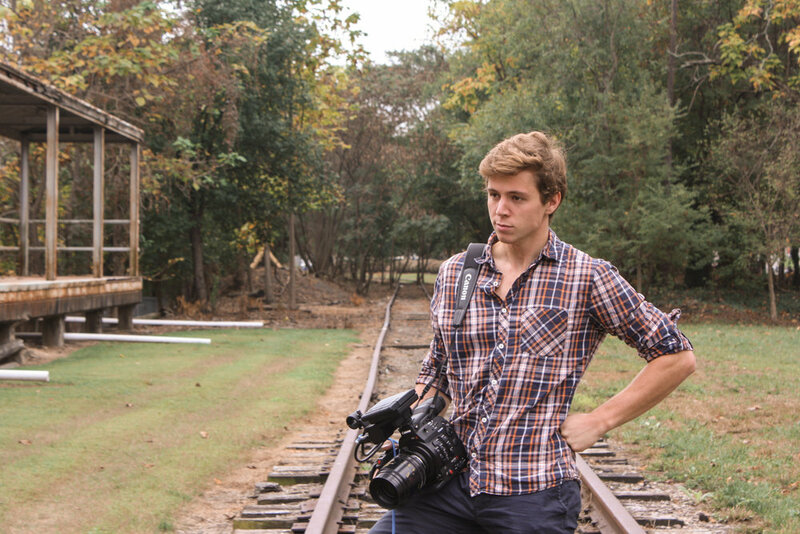 While Trainhopper already has recognition on campus, the film is just Bouan’s first step into the film industry. Trainhopper is just the beginning of many journeys on both Duke’s campus and for the students involved in its production. Bouan is currently raising money through his KickStarter campaign to fund his project. The campaign ends soon, so be sure to show your support before the campaign ends!